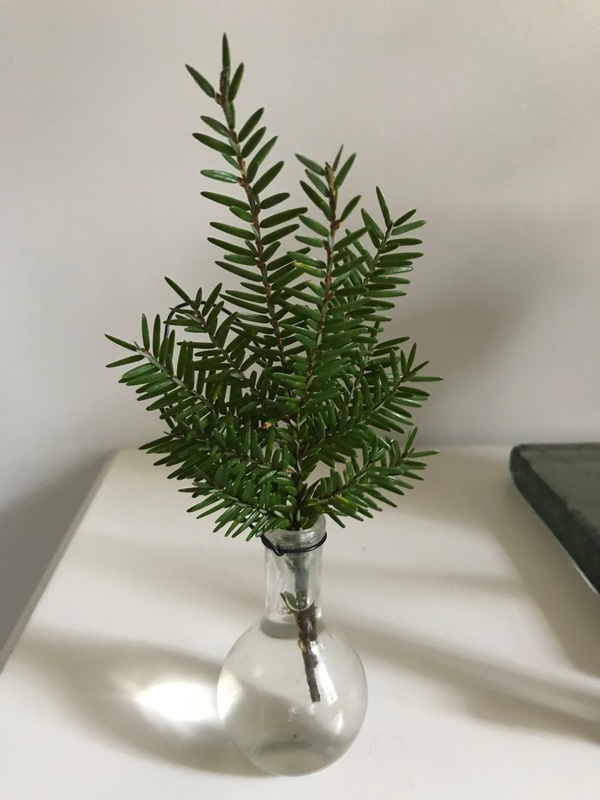 This sprig of hemlock is the last remnant of my Christmas decorations. It looked so cute in its tiny vase that I couldn’t bear to put it on the compost pile. Then I got to thinking about how plants brighten my home indoors at this time of year and how much they enhance my daily life. 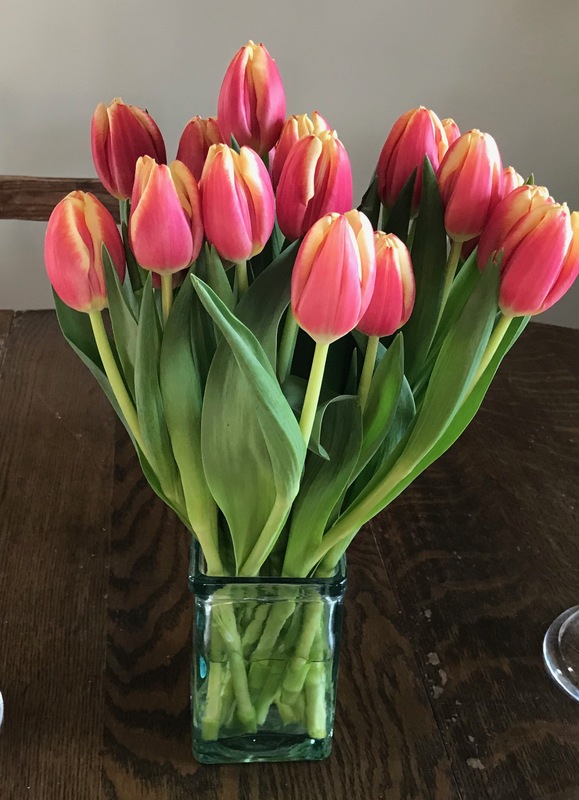 Another way to brighten up your indoor environment is with cut flowers. I know they are not environmentally sustainable, but once in a while, I can’t help myself. I brighten my home all year long by growing orchids. 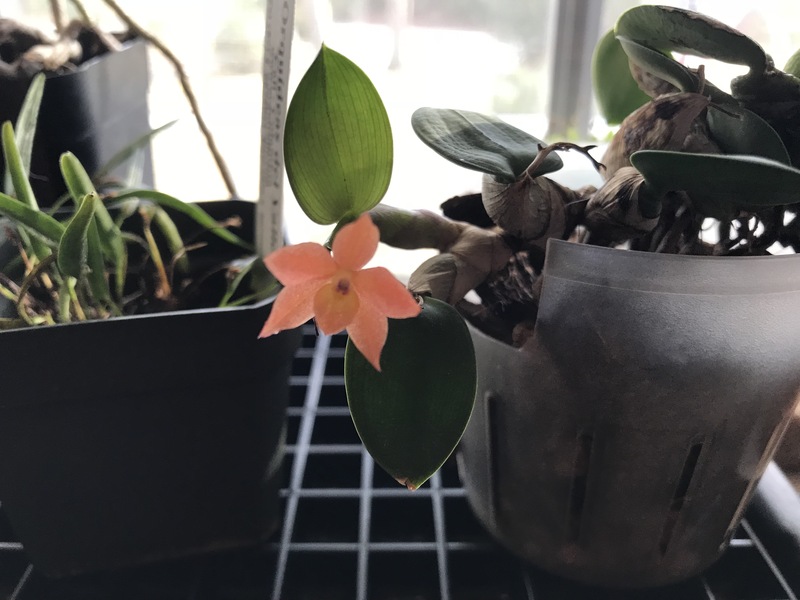 This tiny, beautiful flower is Sophronitis cernua and it’s open now. It grows on my kitchen windowsill and I love its tropical color. 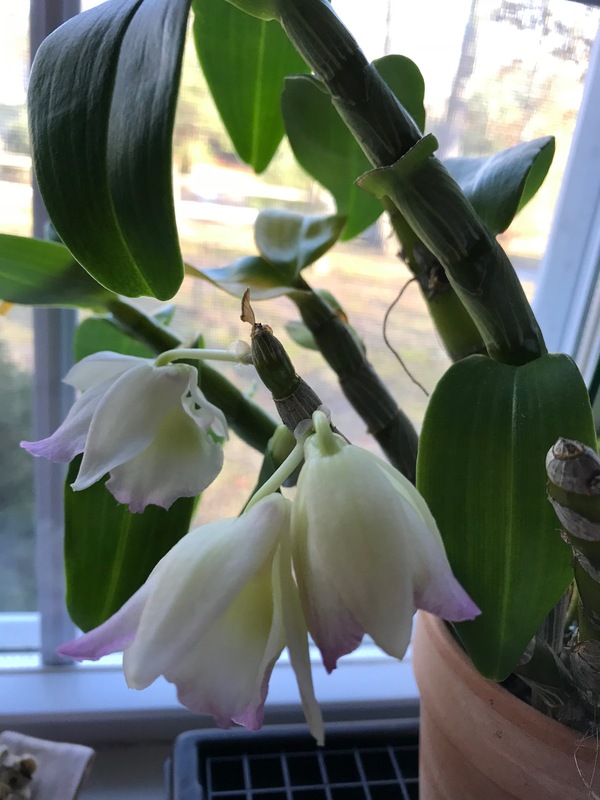 This orchid is Dendrobium “Snow King.” The flowers are now opening. That’s a humidity tray it’s sitting on. I keep my windowsill orchids on them all year long, but I fill the trays with water in the winter. The plants seem to appreciate it. Another indoor gardening activity I enjoy is listening to podcasts about plants and gardening. My favorite houseplant podcast is from the U.K. and the host, Jane Perrone, is knowledgeable and witty. Another more general gardening podcast I enjoy is “A Way to Garden,” hosted by Margaret Roach. Thanks to you, dn, my orchids continue to flower. It’s always a treat. That’s so great, CJ. I am in the process of trying a new orchid fertilizer called “Orchid Myst.” It’s from the UK and you just spray it on the leaves and roots. I’m going to write about it in a future post. Oh, boy! Easier than ever. It certainly is easy. Whether it actually works, only time will tell.